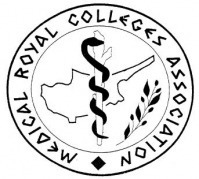 The Medical Royal Colleges Association – Cyprus, was founded in December 1985 and its members are doctors practising in Cyprus, who hold a postgraduate diploma from one of the Royal Colleges of the UK (MRCP, FRCS, MRCOG, etc). Our association is a non-profit organisation whose sole objective is the continuing medical education of its members and the wider audience of doctors of Cyprus. So far, we have held eight very successful Medical Seminars in Limassol, all under the auspices of the Cyprus Ministry of Health, with very high attendance by Cypriot doctors and feedback indicates that this is possibly the most successful series of medical seminars ever organised in Cyprus. This year, we are once again organizing the EASTERN MEDITERRANEAN SEMINAR ON GENERAL MEDICINE FOR PHYSICIANS, to take place on the 21 – 22 November 2015 at the Amathus Beach Hotel, in Limassol, Cyprus. We are expecting excellent participation from doctors across our region as we look forward to hearing from twelve internationally recognised eminent lecturers from the UK, each an expert in their field. This year, the seminar will be under the auspices of the Royal College of Physicians, London. Anyone interested in attending the seminar can simply complete and return the seminar registration form via email, fax or by post and provide payment in order to secure their place. Preferential rates are also available for accommodation at the conference venue, the 5 star Amathus Beach Hotel in Limassol, Cyprus.